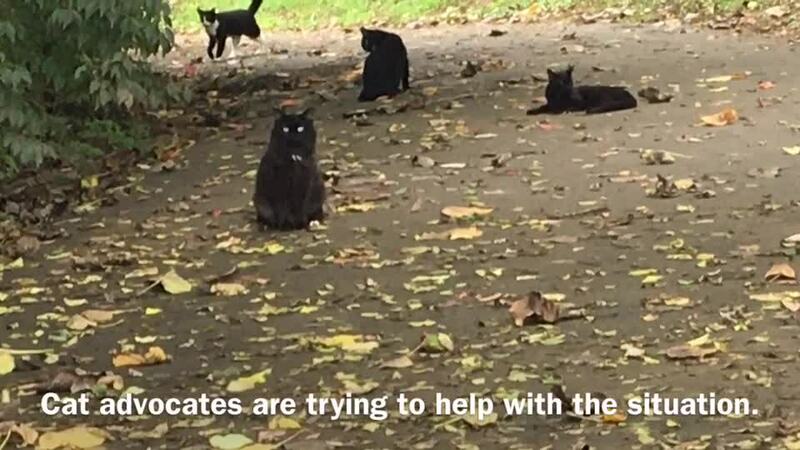 Residents at a senior living facility might be evicted for feeding a stray cat colony that lives in the woods behind Old Hickory Towers. "They're innocent! Who did they hurt? They don't bother anybody, look at my babies!" Patricia Williams said. Williams summoned the cats from the woods, and she has named dozens of them. "Oh my goodness! What's the love between them? Isn't it beautiful? This is what makes my life," Williams said. Williams said she now feeds the cats on an adjacent property that belongs to Metro Davidson County. 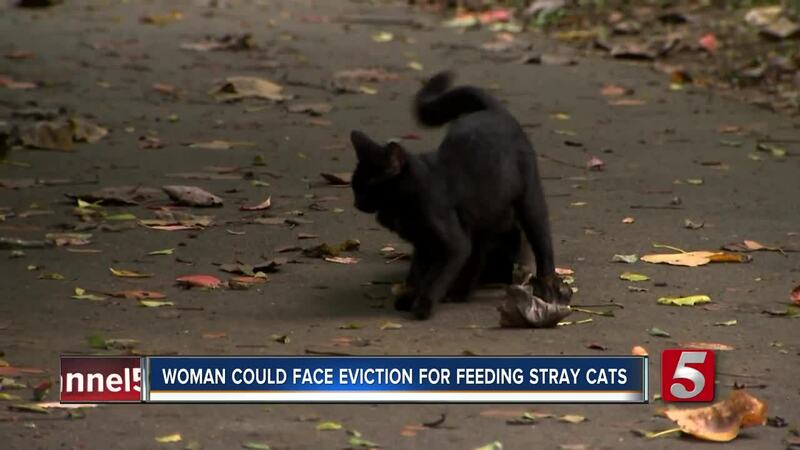 Recently, she received a letter saying she needs to stop feeding stray animals. "This is my life. Who am I hurting?" Williams said. "What person am I damaging with this love of mine? I have so much love to give, I can't even tell you how much love I have in my heart for animals and kids." Animal advocates with Nashville Cat Welfare Coalition are trying to help. They contacted Metro Animal Care and Control who trapped, neutered, and released a majority of the cats through their partnership with the Pet Community Center. "Every time we speak to people in the government, this issue is passed around like a hot potato, and then for some reason, there tends to be reluctance to admit that this program exists and that the city has any responsibility," Denice Heatherly said. Williams said she's scared and doesn't want to move. "I don't want to lie, cheat, or steal, that's not my way, but I can't let them die!" Williams said. "Gracie has already died. One of them have died because we didn't feed her for a week, and she was a baby!" Williams said she hopes everyone can come to a solution soon. Residents want to meet with management at Old Hickory Towers to find a way to keep the stray cats safe and off the property. We reached out to the the manager as well as Freeman Webb, the owners, but we have not heard back yet.